We are excited to share this private website for all MIT Alumni with you to help us collate, communicate and disseminate information expediently for the upcoming MIT's Diamond Jubilee Closing Ceremonies - December 16/17, 2017 at Manipal. We will continue it after the event to keep everybody connected. Age is a silent ascending number which silences our innocence, youthful beauty and our once agile body. However, when it comes to MIT and our formative years in that great institution, we all become young adults...So with that spirit let us all have a great reunion on December 16/17, 2017 and reminisce the good o'le days of our youth! This is an evergreen website in sense that the content changes dynamically. Please feel free to share your feedback to make this an exciting and useful portal. Please register and use the RSVP page to ensure your participation as well as guaranteed MIT Hostel accommodations and possible group pickup from Mangaluru Airport. Most of us are arriving on December 14th and leaving on December 18th after a great reunion. Just come on over and join the fun! Custom designed, Business Casual, export quality Pique Polo cloth with Metal buttons, made in Tirupur (capital of high quality garments), Tamilnadu. Gift it to friends, Donate leftovers to MIT! Also, be a part of our Alma mater by registering here at Manipal University Alumni site. This is a labor of love, countless hours of personal time, energy, money and other resources, demonstrating our passion for MIT and its Alumni. It is certainly hoped to meet most of our requirements and always open for constructive suggestions. The primary aim of this private website is for collation, communication and exchange of information regarding the MIT Diamond Jubilee event and to make it a grand success. 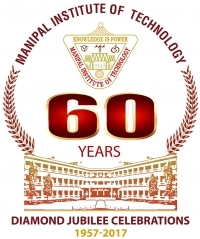 This is not a replacement for our Alma mater "Manipal University Alumni" site but focused only on MIT Alumni with more features targeted for the Diamond Jubilee Reunion. Please register on Manipal University site and become a member of Manipal University Alumni. This private website is mainly for all the MEC/MIT Alumni from 60s to 80s. The younger generations are also welcome but they are well connected via social media anyway! Please follow the instructions and fill your profiles properly. ​It is better to use the bigger screens of laptop/desktop and is not targeted for Smartphone/Tablet screens. ​Be advised that Emails sent via this Email system should not contain content that is deemed to be offensive, vulgar or contains harassing language/images. We hope nobody steals, uses, or discloses someone else's password without their authorization. Consequences of such acts will be dealt-with seriously. This is not a public website and we do not wish to see the posting of chain letters, solicitations, or advertisements of any type. Please refrain from passing off personal views as representing those of MIT or its parent organization. Just enjoy the website and share it with others.